Bikers paradise between heaven and sea. The MTCE meeting 2019 will be in the Pyrenees from June 1st to June 8th, 2019. Rough, wild, and rugged - the Pyrenees are a perfect biking area. 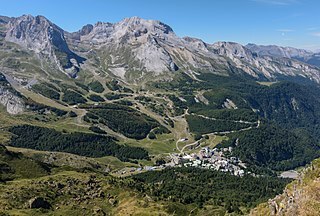 Following the Tour de France over the Col du Tourmalet, through the wine yards of Corbières, up the mountains of Andorra, or following the pilgrims on the Way of St. James - everyone will find his personal highlights in the varying Pyrenees. 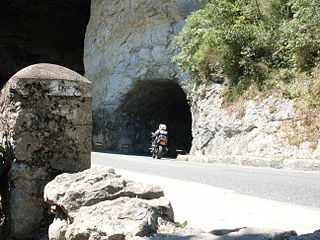 Nearly every road combines superb biking fun with grandiose experience of nature. Most famous pass of the Pyrenees. Romantic atmosphere in the ruins of a luxury art nouveau station. 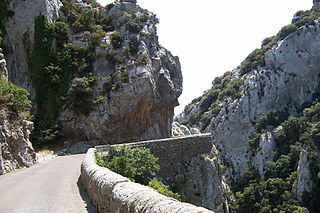 This terrific canyon with its 400m high walls is the most beautiful valley cut in the Pyrenees. A miracle of of stone and walls - dramatically located under a face of the rock. Thousand of bends for fantastic banking. One of the most beautiful coastal roads in Europe. We will stay in chalets on campsite Le Moulin in Martres-Tolosane. Login on the forums meeting pages for detailed information and registration. Cirque de Gourette et Pic de Ger: Myrabella under Creative Commons CC BY-SA 3.0 licence. Gorges de Galamus: Zewan under Creative Commons CC BY-SA 3.0 licence. Grotte du Mas d'Azil: Traumrune under Creative Commons CC BY-SA 3.0 licence.